Discussion in 'Flight MH370' started by Mick West, Mar 18, 2014. The image is taken from Tomnod, the map search website currently being used by hundreds of thousands of people in an attempt to search for missing passenger plane, was posted on Reddit on Sunday. A) It's a photo from March 12th, and it's clearly above the trees, and hence is flying - four days after MH340 went missing. 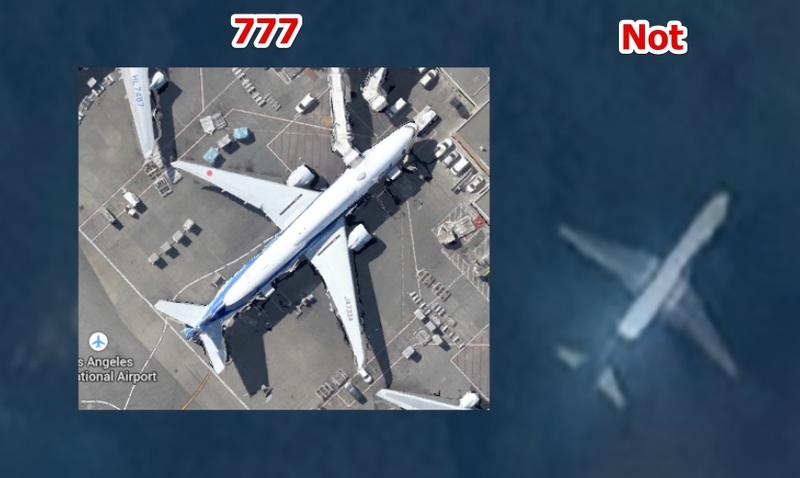 B) It's not a 777. 777's have distinctive wings which are swept back, and this plane has wings that are at right angles to the fuselage. Yes....I'd surmise the satellite image is of an E190. (Not directly ventral, but the basic shape looks close). 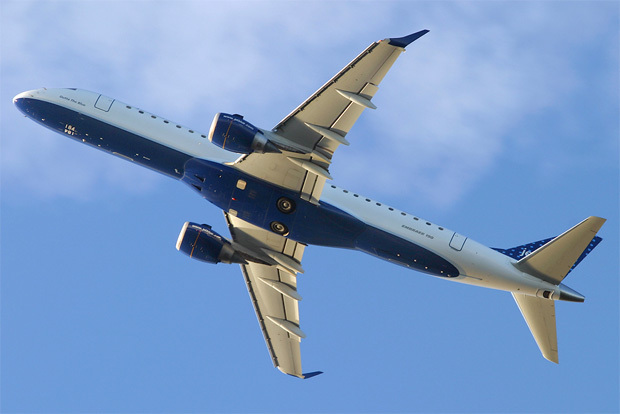 The appearance that the plane is at a low altitude is an illusion because of the extremely long focal length lens used by the satellite camera. Unless you can locate the shadow of the plane, it's going to be hard to estimate the height above the ground. 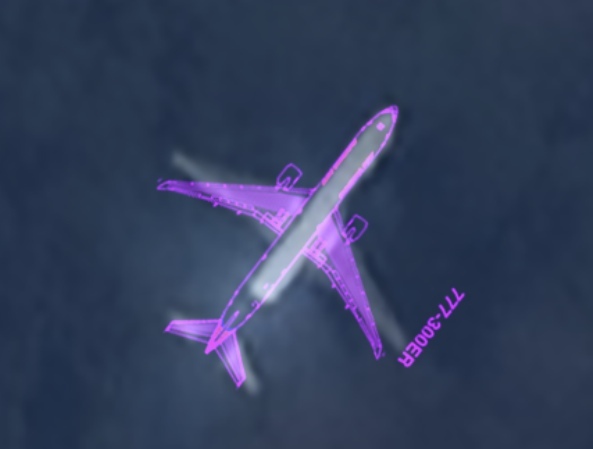 By following this link: http://public-action.com/911/boeing757-200/ you may also can realize that the aircraft shown on the satellite image is most likely a BOING 757 variant ! 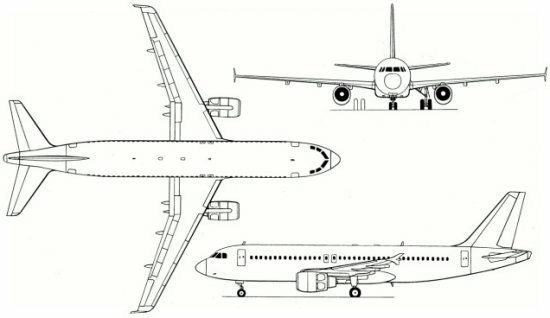 ...you may also can realize that the aircraft shown on the satellite image is most likely a BOING 757 variant ! That was my first guess, but I rejected that hypothesis when I studied the relative shapes of the horizontal stabilizers. The satellite image isn't at very good resolution, though, so it's difficult to be certain. However, it is most surely "case closed" that it is not a B777. And if you zoom out you will see the plane is on medium final to Veer Savarkar International Airport (VOPB) in Port Blair, South Andaman Island. 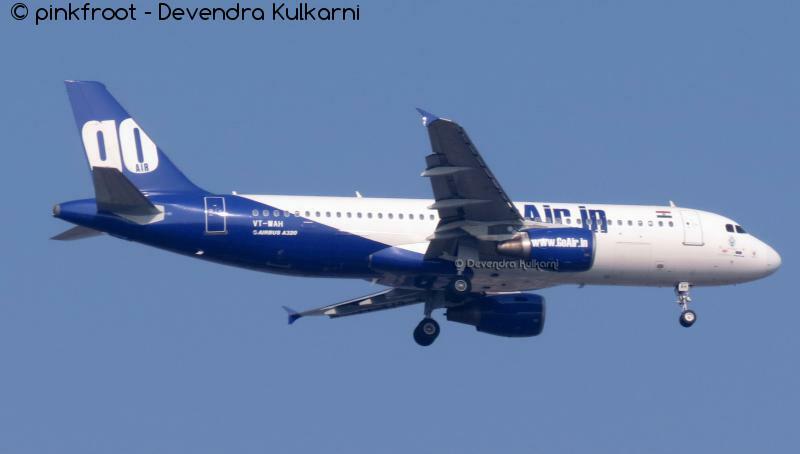 A quick check of the airport service narrows this airplane down to one of two flights operated by GoAir (overhead livery matches) both being operated by an A320 according to their website. This ain't rocket science, Tomnod people!! I wish I could comment on things over there. I have looked for stuff too. I really wish I could access recent overheads of airports within range. 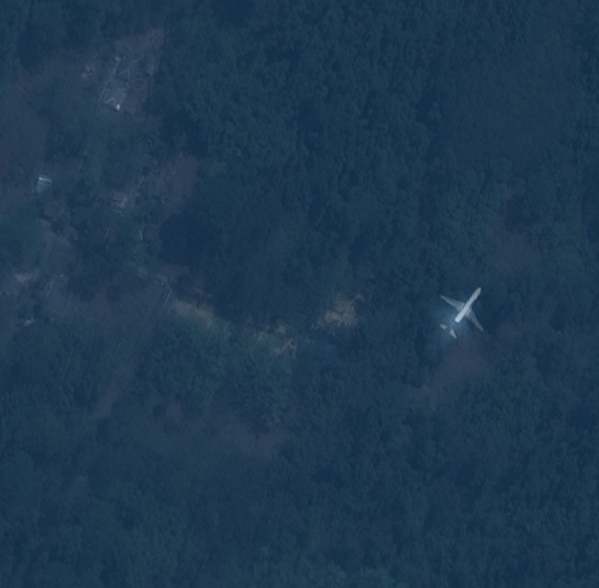 MH planes can be distinguished by overhead photos, I think the USN pulled the Kidd off the search because they have intel showing the jet somewhere else. Here's a bit of sleuthing someone could take on (it's late in Colorado and I'm sleepy). Use the flightradar24.com site, the date and time from the sat image (I'm assuming it's in UTC/GMT), and the approximate location of the map tile. Plug the values into the "playback" box and hit play. You will get a replay of the flight that passed over that area. Click on the plane icon and viola, you will have an exact description of the plane, equipment, departure and destination. Even the altitude and speed it was flying at the time. 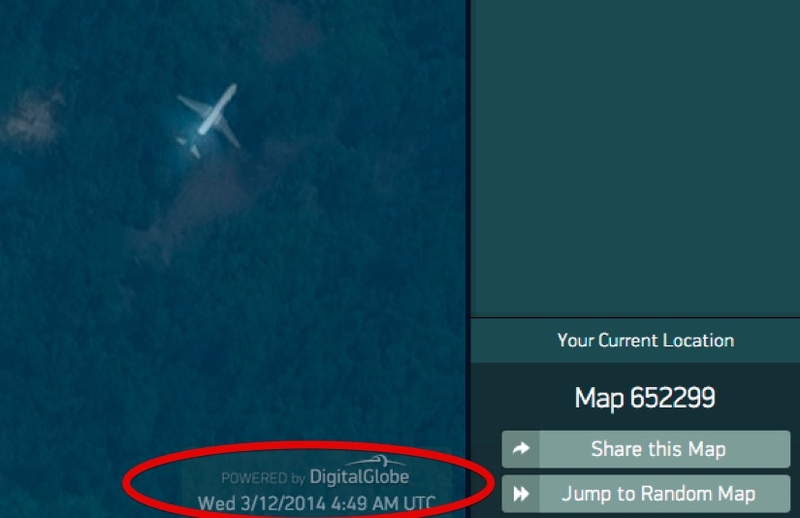 PS-You can also replay the MH370 flight out of KL using UTC date 3/7/2014, time 16:41. It's a bit freaky when you see it just disappear on your own screen. Also, it only tracks transponder data, not radar officially, so no new theories created from this site's data for us to debunk! There are bound to be a lot of theories of conspiracy regarding this plane. Especially considering all the 'strange' circumstances but I wish people wouldn't just make things up. For me, unless it is doctored, which it still could be, then that is not explained by flying through different enviromental conditions. They dont change that abruptly, especially with several planes in the sky at the same time like I have seen with my own eyes. And.... BINGO! It IS Go Airlines flight G8/IGO305 from Chennai, Tamil Nadu, India (VOMM/MAA) to Port Blair, Andaman and Nicobar Islands (VOPB/IXZ). On 3/12/14, it departed Chennai at 8:15 AM IST, which is 2:45 AM UTC, and arrived at 10:30 AM IST, or 5:00 AM UTC. Since the pic was taken at 4:49 AM UTC, Jdcorley is EXACTLY right. 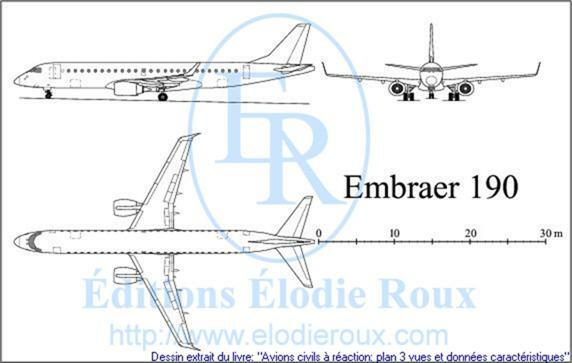 Equipment: Airbus A320. If you look on the tail of the original picture, it is the exact same paint job. Again, Jdcorley is EXACTLY right! No way to tell from that small image. Can you give the co-ordinates and date or a direct link so people can check it out? I originally tweeted the picture on March 14th, 2014 so it's within a week of the disappearance. I'm sorry I don't recall the date. Here's a picture of the tweet with the date I found it. Don't you think it looks like a ship?